CUSTOMER ALERT! FAKE GDI RAYFINDER DETECTORS IN IRAN AND CHINA! 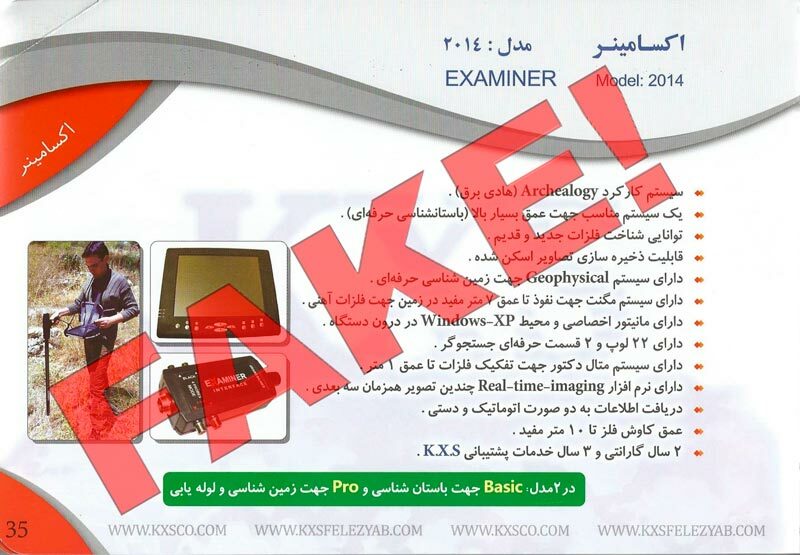 Warning about fake GDI Rayfinder detectors in Iran and China. Customers be careful when ordering GDI gold detectors. KXS company a well know Iran scum and fake metal detectors seller, supplies fake Rayfinder, Spectra, Examiner and DFS detectors. These units do not operate only imitate the original device appearance. Contact us to advice of our appointed distributors and confirm that the detector is original before you buy. مشتریان عزیزمان در ایران، هنگام خرید محصولات شرکت جی دی ای یونان(GDI)دقت کنین. شرکت جاعل و کلاهبردار کا ایکس اس(KXS)محمد یوسفی در ایران محصولات شرکت مارا(GDI:ریفایندر-جئواگزاماینر-اسپکترا-دی اف اس)جعل کرده با ظاهر و شبیح سازی شده از سیستمهایه اصل ما و با کاراایه غلط و نادرست و توان کاراایه همنوع اصل خود را ندارن. در صورت خرید این سیستمها با ما تماس بگیرین تا شما را با نمایندگیهایه شرکتمان در ایران راهنمایی کنیم برای خرید محصولات اصلیه ما، واطلاع رسانی کنیم در مورد اصل ویا جعل بودن سیستم مورد نظر. Customers in China beware of fake Rayfinder detectors sold. These units do not have any technology and were given the Rayfinder name to cheat the customer. Always order original GDI gold detectors from our appointed distributors. If you notice of a fake GDI detector somewhere in the world, please give us a hint! We appreciate your help to enable us protect our customers.